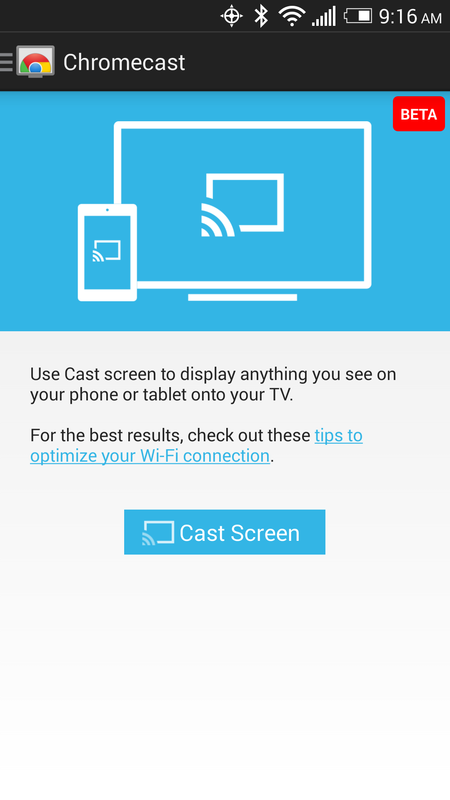 Yesterday Google flipped on the Chromecast screen mirroring feature that the company announced last month at Google I/O after teasing us for months. 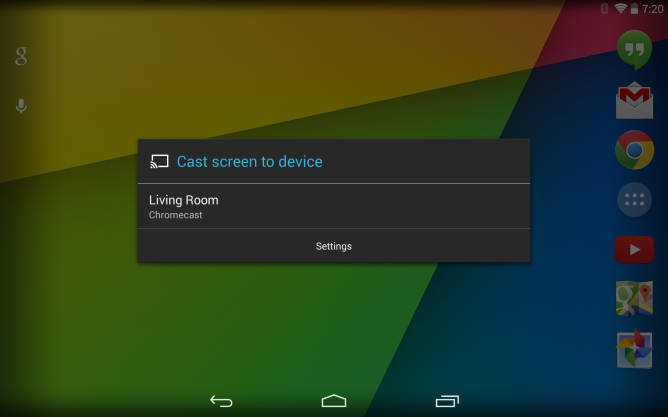 With it, users just tap a single icon to have everything on their screen magically projected onto a television. Forget waiting for individual apps to implement Chromecast support, this feature will let you mirror all the things, and it opens up a world of mobile games to a screen size many of them have never seen before. How well does it work? Phenomenally. Before reading on too much further, you might want to save yourself some hurt feelings and check to see if your device is supported. Only a select number of them have made the list so far. For Nexus and Google Play Edition devices, the process is simple. Just go to Quick Settings and tap on the Cast Screen icon. You can disconnect the device later on by tapping this same icon again. 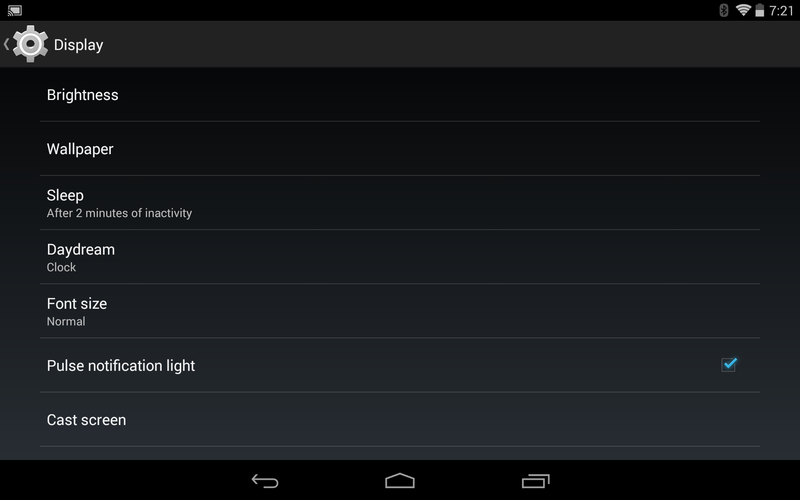 The option to cast your screen is also tucked away under Settings > Display. This is the scenic route, but it's there nonetheless. The third way to connect is to use the latest version of the Chromecast app. For the non-Nexus or Google Play Edition devices in the list above, this is the avenue you will have to take. Once connected, everything works as expected. 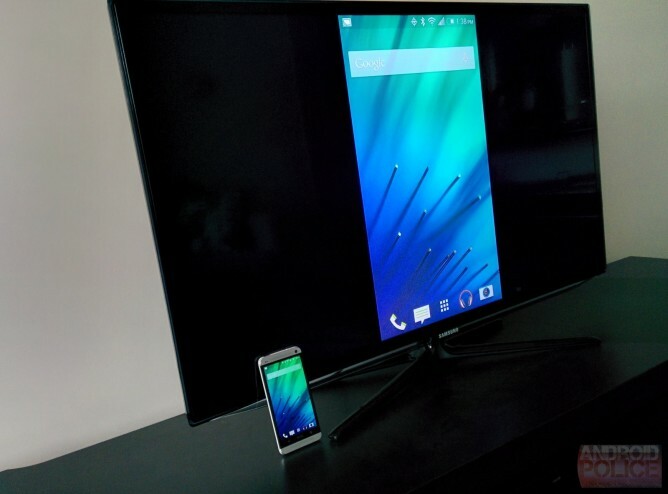 Whatever you open up on your phone or tablet will replicate itself on the big screen. The great thing is that this applies to both audio and video alike. 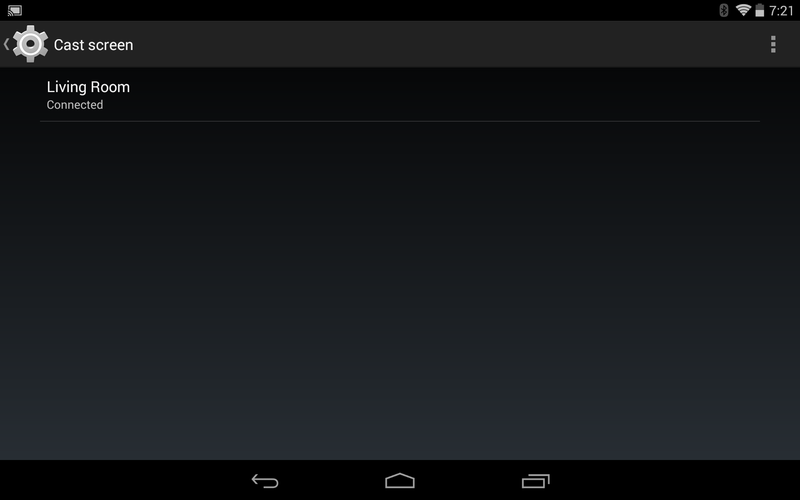 I was able to take music saved locally to my HTC One and stream it without any stuttering. The song then continued to stream even after I turned off the display. My experience was the same when I loaded up a local MKV file. The 720p video looked better than the YouTube clip I pulled up (which itself ran smooth enough for me nearly to forget I hadn't cast it the old-fashioned way), and VLC impressively even turned the phone display into a mini remote control. 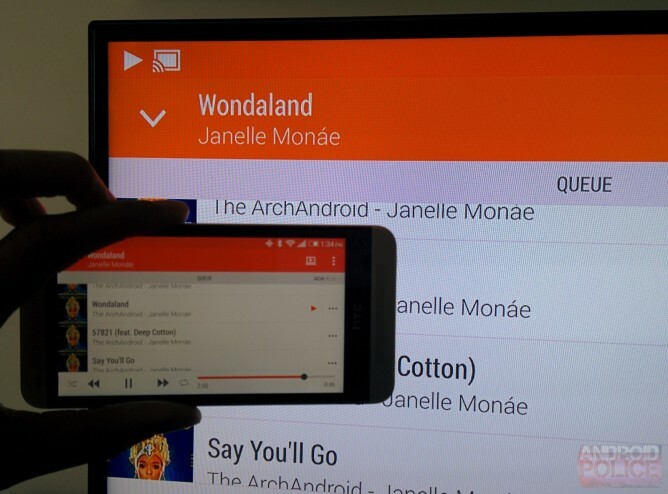 Naturally, this mirroring is great for other things as well, things you couldn't already do using Chromecast apps. If you turn your device into landscape, your live feed will fill the entire screen. This is good for browsing the web from the couch, showing everyone a location using Google Maps (or any other navigation app), reading ebooks, or giving presentations. This is the not the laggy mess that we find with Chrome's tab casting, even though both features are still in beta. 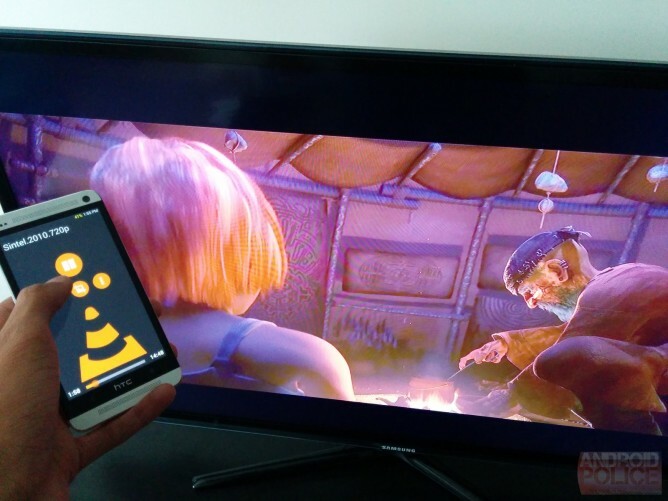 The biggest revolution introduced by this feature, perhaps, is the ability to stream any game to the TV. 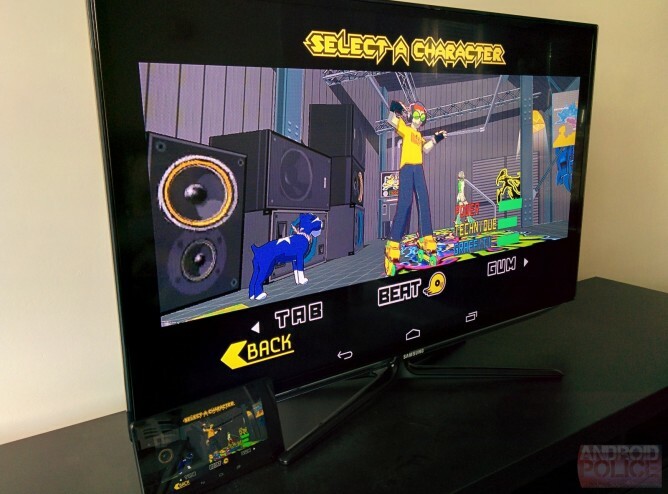 For games with gamepad support, this effectively turns any supported device into an Android home console. I was able to stream Jet Set Radio with minimal lag, allowing me to experience the HD title on a screen size that better did it justice. The Dreamcast would be jealous. Your experience with everything above will vary depending on the quality of your router, the strength of your network connection, and how far away you are from your setup. With a Netgear AC1900 Nighthawk 802.11ac router, I experienced near flawless results casting from the same room. There was some lag, but I've encountered more of that running budget devices or aging PCs. For me, it was hardly an issue. 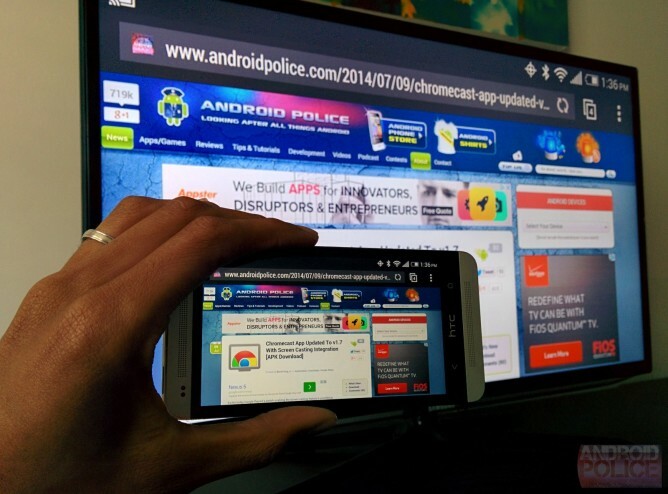 That said, results varied among members of the Android Police staff. 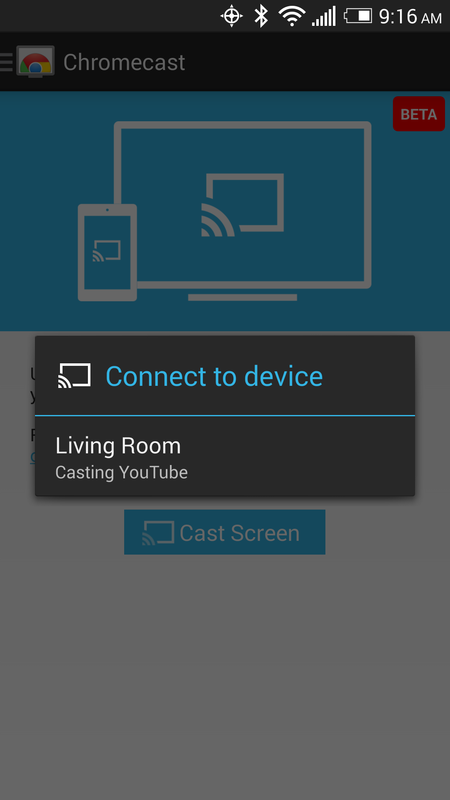 Chromecast already felt like a bargain when it hit Google Play at $35, but this functionality stretches that value oh so much further. Since last summer we've watched as individual apps introduced support one by one, but now anything that launches for a mobile device is instantly transferable to the big screen. 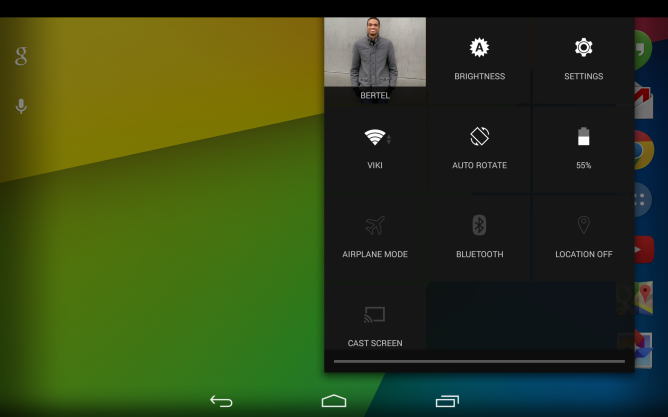 All of a sudden those 5-inch displays sporting 1920 by 1080 pixels make a ton of sense. 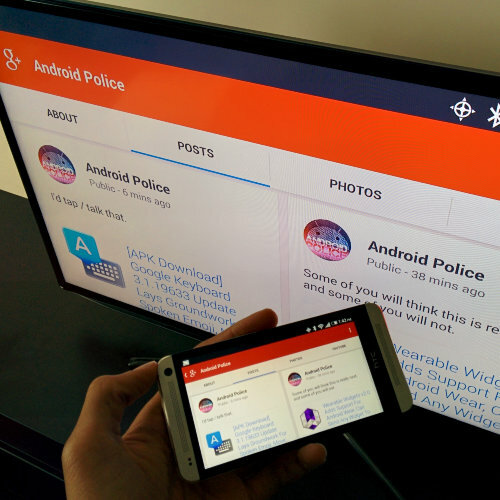 Content that's designed for that phone will look just as attractive, if not moreso, on a 1080p TV. This is a game changer, literally. Many of the games that have come out over the past couple of years just plain look better stretched out across 40 or 50 inches of screen real estate, and getting them up there is now much easier than buying a Ouya or M.O.J.O. Pair up that Bluetooth controller and cast away. If your network is up for the task, you're in for a treat. Screen mirroring as a concept is nothing new. iOS supports it, assuming you own an Apple TV, and a select number of Android devices have been able to do it using an HDMI cable the old-fashioned way. 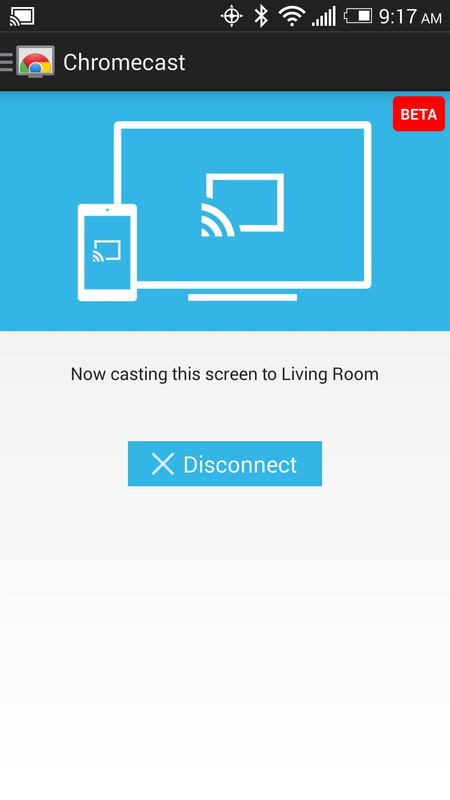 But to stream everything wirelessly to something as cheap and affordable as a Chromecast using more than just a single company's phones or tablets - that's nothing to scoff at. 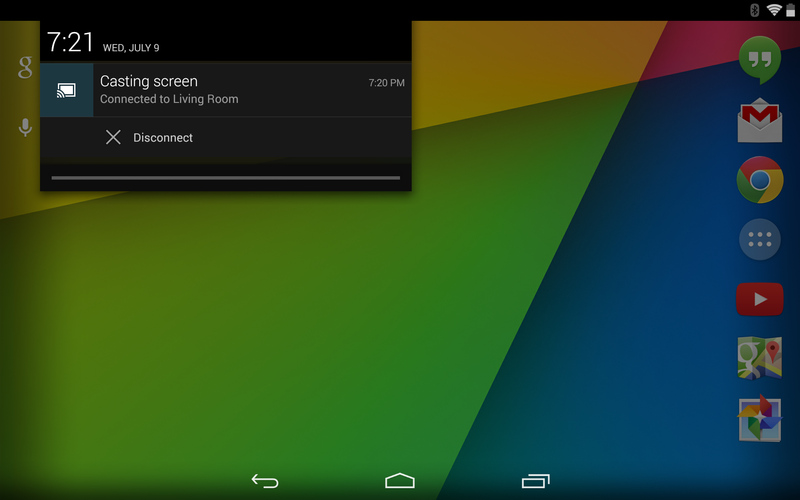 Android's new feature makes live mirroring easy and affordable. It's time to cast everything.